1. I have recently been diagnosed with Parkinson’s Disease. Why should I be interested in exercise? Evidence is rapidly accumulating that some form of exercise is a very important component of therapy for PD. 2. My neurologist has never mentioned exercise to me. Should I ask her about it? Yes! Over 20 research studies have shown the favorable effect of some form of exercise on PD symptoms, and these results are making impressions in the medical community. Many of our referrals for yoga come from neurologists. 3. I have heard good things about Pilates, Yoga, Tai Chi, and Tango Dancing as adjuncts to Parkinson treatment. What is best? The jury is still out on the therapeutic differences among the various disciplines. What is known is that any of them is way better than nothing at all. Given the current state of the art, it pays to try out various possibilities to see what works for you. You may find that the style of the the teacher and the class makes more difference than which discipline is being taught. And finding something that you enjoy is also very important. Paul started with yoga because that is what he knew and had been teaching. It has been a particularly good fit because it works against the main compromises of physical ability that come with PD by enhancing mental focus, awareness of the body, balance, strength and flexibility. 4. How do I find an appropriate class and teacher? You have to do a little research. Check with your local Parkinson’s association for classes or referrals. 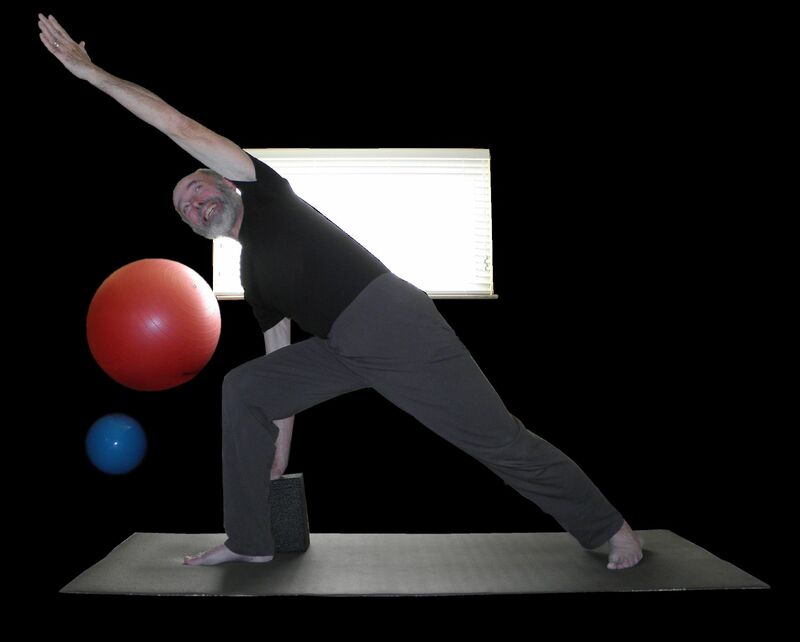 Look for teachers skilled in adapting their practice to bodies with various limitations. We recommend going to one who has had students with PD, and who is working with it. (A listing of yoga therapists by geographical location can be found at Int'l Assoc. of Yoga Therapists). 5. Is exercise a replacement for PD medications? No. Of course, any lifestyle change by a person with Parkinson's may necessitate an adjustment in medication. What Paul and most of our students have found is that exercise and medications have a synergistic effect in working against the PD symptoms, improving quality of life. 6. What if I have instructions from my Physical Therapist? We love to hear from your PT. We will make adjustments in your practice to keep it in harmony with your PT goals and instructions. Often a neurologist's diagnosis of PD will carry with it a prescription for a certain amount of PT. It is a good idea to get instructions from your PT, preferably in writing, to share with any exercise instructor. 7. What yoga poses or sequences are particularly beneficial for PD? We get this one a lot, and it calls for some explanation. The main influence on what poses or sequences are appropriate is the individual body with its individual pattern of symptoms. Those influences are much more important than the fact that PD is involved. Of course there are certain general areas, like posture and balance, that are particularly important in PD. But there is no getting around the need for some wise judgment based on the individual. b. Compromising the feedback loops (there are at least 2) that regulate breathing. c. Interacting with an existing (perhaps undiagnosed) sleep apnea. Given the current state of the art, we are reluctant to espouse anybody's special breathing method. In working with our students, we try to spot the worst troubles and experiment with practices that might help – including experimenting on Paul.